No-shows and last-minute cancellations have plagued fine-dining restaurants for as long as there have been reservations. For years, restaurateurs just ate the losses. But now, a few intrepid operators are experimenting with a drastic solution: hitting diners with the check before they even come to dinner. Gone are the days of slipping the maître d' a 10-spot to guarantee a good table. In this ticketing system, you pay for everything up front. Chicago restaurateur Nick Kokonas has created a ticketing system for his restaurants Next and Alinea after losing serious money on no-shows, reports SiliconValley.com. He's also made his pre-payment system (which carries no brand name as such) available to other restaurant owners. One of them is David Patterson, chef/owner of San Francisco's Coi, which will start using it next month. The ticketing system is simple enough to use, jarring as it may be to newcomers. On the Coi website, for example, diners click on the "Reserve" tab, choose a dining time and number of diners, and then pay with a credit card. The price ranges from $145 to $195 depending on the time of the week, includes the tasting menu only and does not include wine. The restaurant also tacks on an 18 percent service charge. To the question of whether a guest can obtain a refund, the FAQ page has this to say: "No. Just like a sporting event, concert or theater ticket, all sales are final." Mercenary as these measures sound, they're apparently catching on. Lazy Bear is another San Francisco restaurant experimenting with the same pre-purchase ticket arrangement. Trois Mec in Los Angeles and Elizabeth Restaurant in Chicago are also early adopters of Kokonas' system. In the past, restaurant owners have fought the no-show problem by trying cancellation fees, with varying degrees of success. Some operators fear such fees will anger customers, who can easily take their business elsewhere. 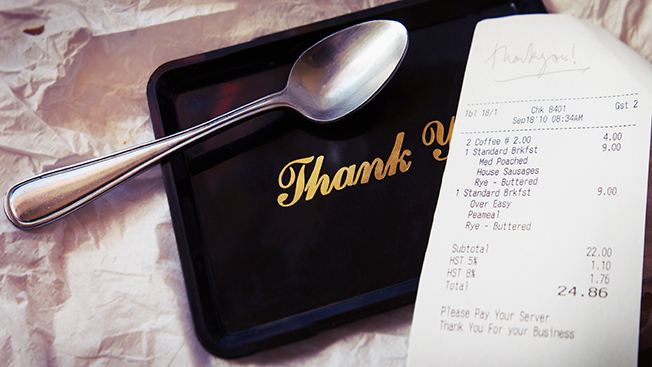 The pre-purchase ticket concept runs the same risk, but it also guarantees that restaurant owners get paid. Time will tell if Kokonas' ticket system, or ones like it, catch on in the fine-dining segment. The arrangement is unlikely to work for any but high-end restaurants with limited seating and large demand for their food. Meanwhile, for those unlucky diners who book their meals and later find that they can't make the seating, there's one recourse: ticket scalping.